LORIDON is a vineyard of 1.60 Ha located on the hills of Aÿ-Champagne, planted exclusively with chardonnay vines, it is the emblem of LALLIER. On these lands, the vineyard offers a beautiful chalky soil and a semi-continental climate. The combination of these elements, all intimately linked, reflects the typicity of this terroir and is best appreciated during the tasting. Grown according to the ancestral methods of Champagne, a reasoned viticulture is practiced: without insecticide or pesticide. The soil tillage is essential. This particular attention allows us to even select our own yeasts. 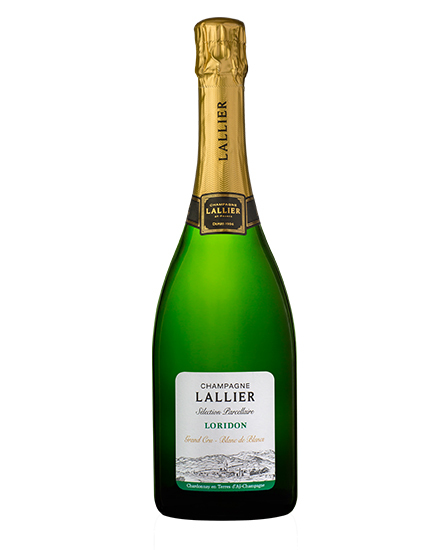 The LALLIER single vineyards bring an awakening of the senses through the discovery of Aÿ-Champagne’s Grands Crus.